Sorry...this event is Sold Out! What better way to look at the history of a region than to walk around one of the cemeteries. Join us along with a popular Barossan guide for a brief historical chat on the Southern Barossa. Buried at the Holy Trinity Anglican Cemetery are notable Pioneers of the Barossa including Paul Zimmerman, John Lawes Springbett, Meshach Burge and William Jacob. 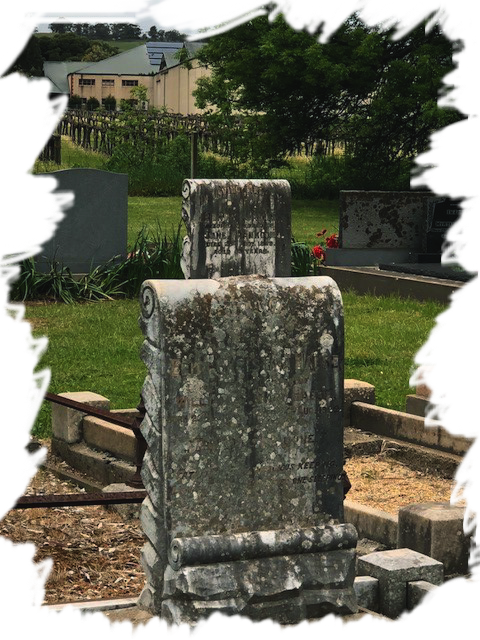 Hear stories of other notable gravesites in Lyndoch including the Braille headstone and the grave that had to be exhumed. It can’t be a cemetery tour without a few ghost stories, so learn about the Jacobs Creek Ghost, The Ghost at the Lyndoch Pub and a few more…. Enjoy a quick side tour of the church, before returning Hemera for supper. Includes: Glass of wine before tour, and supper after tour. Sorry…this event is Sold Out! Be the first to find out about our latest wine releases.